It's quite interesting to know that "Bicol Express" did not originally came from Bicol but was a dish invented and popularized in Paco, Manila by Cely Kalaw, that info I learned on a TV cooking show just recently. But nonetheless, this is a dish that can make you finish several serving of rice because of its deliciously hot spicy taste. There are also variations of cooking this dish. > In a pot, cook meat with about 1/2 cup water.Add onions and garlic. Simmer for about 5-8 minutes. >Add the bagoong and the coconut milk and cream. Let cook and simmer for about 20 minutes or until the oil comes out of the cream. When almost done, add the chilis. > You may add salt if needed, but usually the bagoong is enough to flavor the dish. oh! yes i understand.. you might want to try other dishes here... i'm glad most of your ingredients are available here in the Philippines. I love Bicol Express specially with lots of rice! 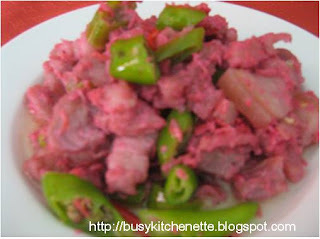 Will try making this one soon, pero I won't be mixing in the bagoong..hehe..maarte kasi mga tao dito. 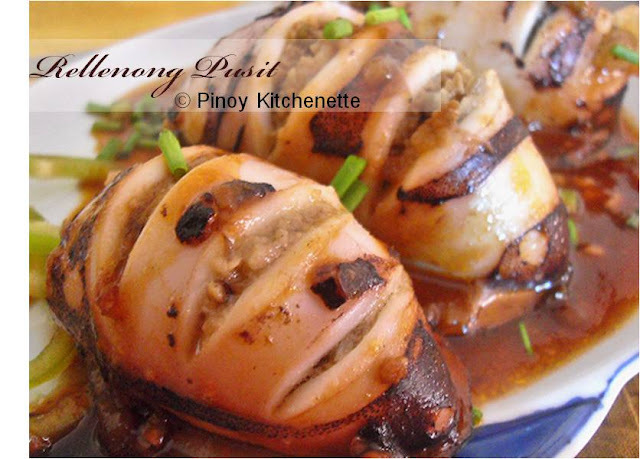 @PinayMum : thanks for liking this recipe. I am following you site too! Happy cooking! @ Food Trip Friday : Me too! I like it with lots of steaming hot rice! @ My Sassy Chef : I guess you can just add in salt. But definitely iba pa rin pag yung bagoong :) that's the main ingredient kasi. some variant nga would opt out pork. But anyway, we love experimenting naman with the dishes.. Happy cooking! Hello, I appreciate you for producing this awesome post. I’m really impressed with your way of writing and how you communicate your message. You’ve got a wonderful future in producing blogs and forums, that is certain. Continue the fantastic work.